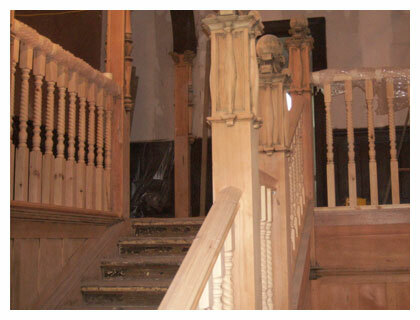 There are two main ways of removing an applied finish from a wooden substrate. By chemically removing the old finish. By mechanically removing, including rubbing, scraping and sanding. Heat should only be used for the removal of paint and not varnish. Usually both mechanical and chemical methods are required. 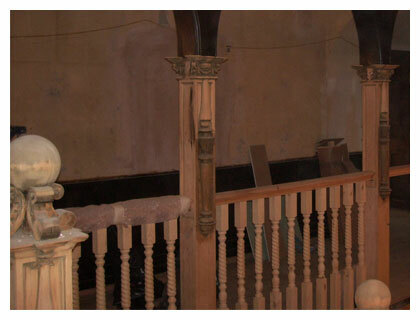 Chemical, Solvent and Caustic stripping: These give the best possible result, they're quicker at removing finishes than sanding alone and are the most gentle on the wood. Some drawbacks are that these strippers are hazardous, care must be taken at all times and respirators may need to be worn. This is why it's best left to the professionals. Caustic strippers are good at removing heavy paint buildup and for intricate mouldings but may stain the wood and damage old timber surfaces. Solvent strippers are more expensive and more difficult to use but won't damage or stain the wood and generally give a cleaner, finer finish especially if going for the natural look. 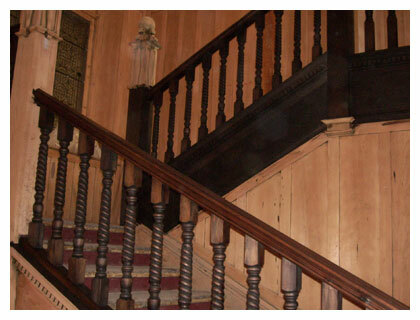 Along with scraping and sanding solvent strippers are the only safe method to use on old oak and damaged beams.